A silhouette outline of two hands forming a heart. 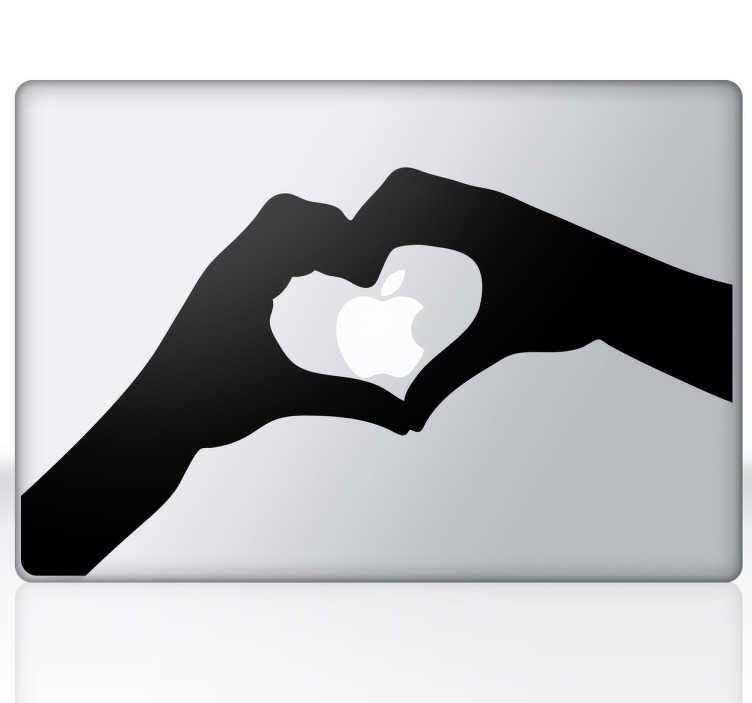 A lovely heart wall art design from our collection of MacBook stickers. Ideal for personalising your MacBook. Are you in love?... with Apple? Then you have found the ideal decal to give your laptop a new and original appearance. Personalise your Mac or iPad with this fantastic decal that can be customised too! This MacBook silhouette design is available in over 50 colours. Decals made from high quality vinyl, easy to apply.